Important: The safety breakaway clip shown in the image is not included in the print price. Bamboo lanyards are an eco friendly choice and are made from pulped bamboo fibre. 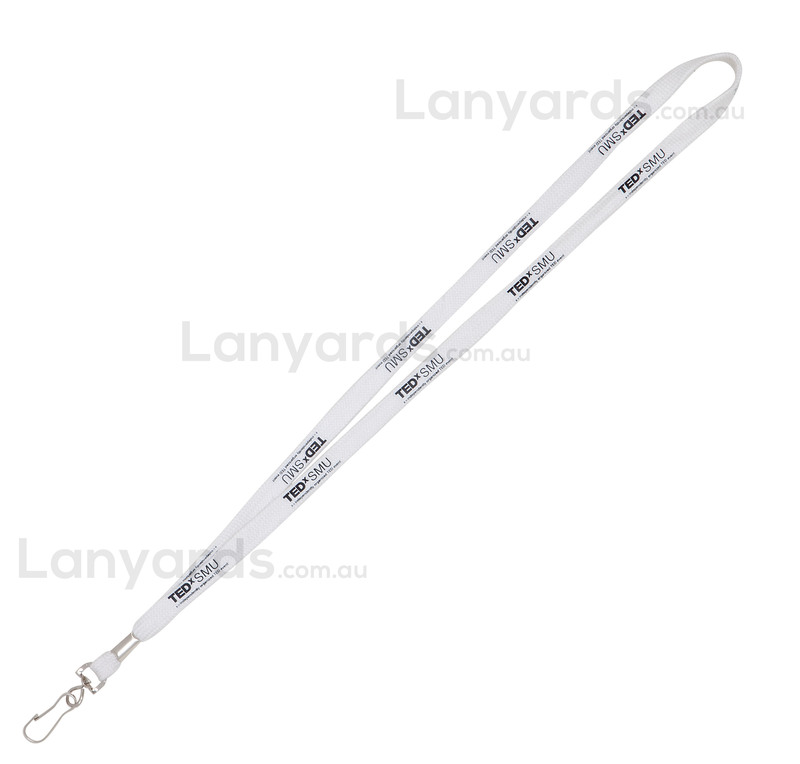 Supplied as a bootlace styled lanyard with a 12mm width they are a little more expensive than our regular lanyards, but they are silky smooth and soft to touch, with the added enviro friendly feature of being biodegradeable. Natural is the untouched colour for these bamboo lanyards or we can also do coloured bamboo lanyards through the use of vegetable dyes. If you want to make an environmentally friendly statement about your company, then use our printed bamboo lanyards as your next conference, security or ID lanyards.